To a 19th-century Irish islander living in America, a fishing net was not just an economic tool, or object, or asset; rather it provided a point of entry into the emotional landscape of memory and belonging. Emigrates from rural settings, including the islands of western Ireland, traveled to America to establish better lives for themselves, their relatives, and their future offspring, often in new and very challenging urban settings. 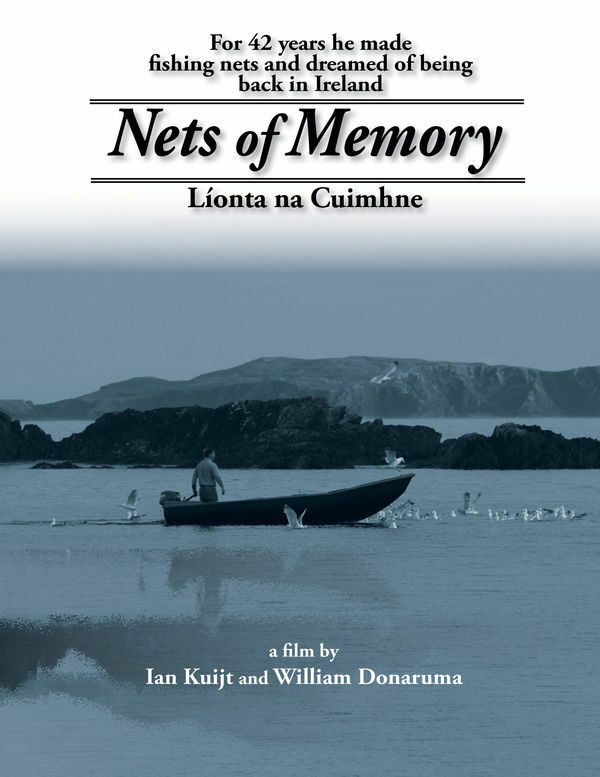 Combining oral history, folklore and documentary records, the film “Nets of Memory” “("Líonta na Cuimhne”) explores how 19th- to 21st-century Islanders from Inishark and Inishbofin, County Galway, Ireland, continued to make fishing nets and Currachs, small fishing boats with a wooden frame and covered in canvas, once they migrated. These practices, as well as their music, helped islanders make their past meaningful through the repeated reenacting of crafts and so negotiate their place in the New World. Within current debates over immigration and migrants, the film explores how all migrants exist in a precarious space; balanced between the reality of economics and potential of the present, and the cultural landscape, people, and memories of their past. The directors, Keough-Naughton Institute Faculty Fellow Ian Kuijt (Anthropology) and Bill Donaruma (Film, Television, and Theatre), will be present for Q & A after the film. Free but ticketed event. If you wish to reserve a ticket, you must pick it up by 6:15 p.m.